The Insta360 ONE is one of the rare 360 cameras that has actually had an impact on the way I shoot. Out of the forty-one 360 cameras I’ve owned so far, it is among the best 360 cameras I’ve used because of how useful the features are. In this review, I will explain not only its features and specifications but why they matter to shooters, whether they are beginners, intermediate shooters, or advanced users. 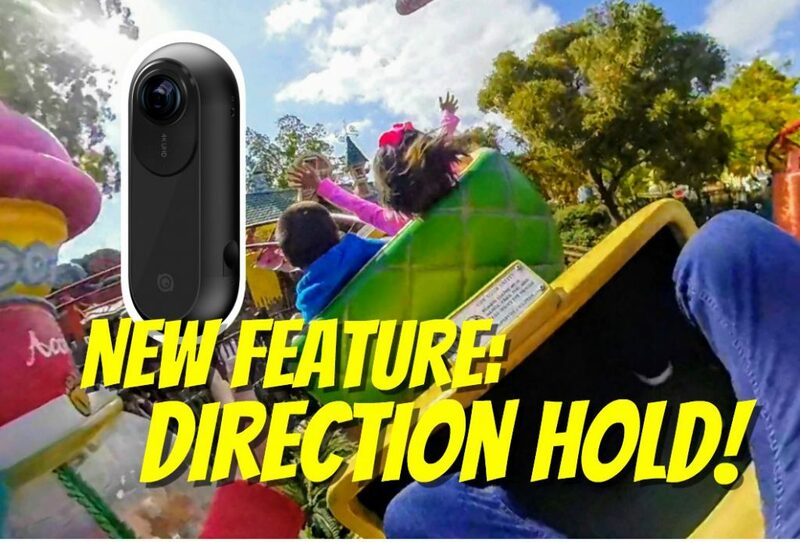 May 22, 2018 UPDATE: Insta360 posted an app update that added directional lock / direction hold . March 20, 2018 UPDATE: On March 20, 2018, Insta360 released an update to the Insta360 ONE that made huge improvements, particularly to stabilization, but also to workflow. Here is my Flowstate stabilization demo! – FlowState stabilization tests . 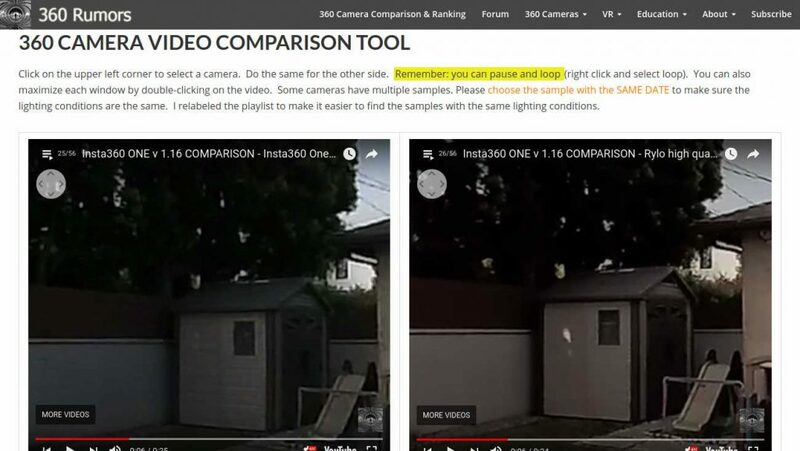 Comparison with Rylo and other 360 cameras . Originally published: September 21, 2017. There are many 360 cameras on the market today, and they are constantly trying to outdo each other in terms of specifications, whether in photo resolution, video resolution, or any of the other traditional metrics for comparing 360 cameras. The Insta360 ONE is different because it tries to stand out from its competitors with special features that help users hit the ground running with 360, even if they’ve never shot with 360 before. This is not to say that the Insta360 ONE is only a beginner’s camera – on the contrary, it also has features for intermediate and advanced users. And it also excels on more conventional criteria. I’ve been using the Insta360 ONE consistently since September 2017. I would say that the dynamic range and low light performance are among its strengths. And even though there are now a few cameras that feature the “overcapture” style video, Insta360 ONE’s FreeCapture is the best implementation of it thus far. Officially, the ONE is compatible with the following iOS devices: iPhone 7/7 plus, iPhone 6s/6s plus, iPhone 6/6 plus, iPhone SE, iPad Pro(10.5-inch), iPad Pro(9.7-inch), iPad Pro(12.9-inch), iPad mini4, iPad Air 2. However, I’ve also been able to use the ONE with an iPhone 5S, although the app seems to crash often. It might work with iPod Touch 6th Generation which has an M8 processor, the same as the iPhone 6. While the iPhone 6 will work with the ONE, it won’t export photos or videos in full resolution. However, I have been able to export at full resolution with the iPhone SE and iPad Air 2. Regarding Android compatibility, Insta360 began shipping an Android version on December 15, 2017. It is actually the same camera, except that it has an adapter (available for Micro USB or USB Type C). This means that if you have both Android and iOS devices (e.g. Android phone and iPad), you’ll be able to use the Insta360 ONE with both devices. Please check this list of compatible Android devices. The Android version will cost slightly more than the iOS version ($329 vs. $299) because of the adapter. If you already have an Insta360 ONE, you can purchase the adapter separately ($29), either for USB Type C or Micro USB. Troubleshooting: To use the Android version you must turn on the Insta360 One first (wait for the light to change from blue to green), and only then can you insert it into your phone. You cannot insert it first and then turn on the camera after it’s already attached. It won’t work (Android weirdness). Also be sure to activate the OTG function on your Android phone. The Insta360 ONE is small and compact. It weighs about the same as a Nano. Although it is mostly plastic, it looks well made and thoughtfully designed. For example, the shutter was placed on the side, along the stitch line, so that when you press the shutter, your finger will be less prominent in the shot. I also like that the lightning connector is retractable. There’s a slide / switch which causes the lightning connector to pop out. One concern is that the lightning connector seems to have an internal cable, and I wonder whether, with repeated bending over time, the cable will become loose. One of my favorite features is the cover, probably inspired by the LG 360 Cam’s cover. The ONE’s cover is multipurpose and can be used as a lens cap, hard case for the camera, a mini handle, or as a stand for either the camera or for a phone, with or without a camera attached. (I like to use put the phone horizontally for maximum stability.) The ONE can be connected to a USB for charging or data transfer while covered with the case. To protect the ONE’s lenses, I like to keep it with the cover as much as possible, such as when attaching the ONE to a stand, removing it only at the last minute. 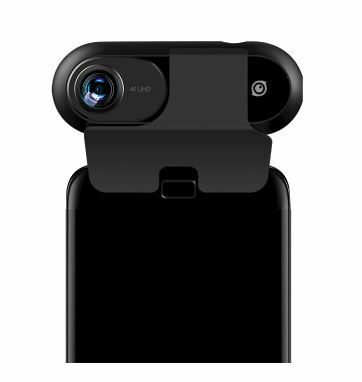 Please note that when using the case as a mini handle for the ONE, it is being held only by friction and not a locking mechanism (as with the LG 360 Cam). There are some things that I think could have been better. First, the tripod hole appears to be made of plastic instead of metal. Second, it is very easy to accidentally turn on the ONE, even with the cover. Third, it is very hard to insert or remove a micro SD card if you have short nails. Fourth, because the ONE’s micro USB port is beside the lightning connector, you can’t connect to Micro USB (or charging) when the ONE is attached to a phone (unless you use a lightning extension adapter). 1. Hybrid smartphone 360 camera: the ONE can be used in three ways. It can be used as a standalone 360 camera, a 360 camera controlled wirelessly via Bluetooth, or as a smartphone 360 camera accessory. The ONE’s direct connection via lightning port makes it very easy to share photos and videos. It also provides a reliable connection to a phone for live streaming, while also allowing the phone’s Wi-Fi to be used for the stream. Regarding the wireless control, it’s easy to establish (you don’t even need to enter a password or go through pairing) but the range is quite short — perhaps 15 feet or so, and primarily within line of sight. I should also add that there’s no live view for the wireless mode. 2. Image stabilization – stability and invisibility. The ONE has built-in image stabilization, which can keep the horizon level regardless of how the ONE is actually positioned. Besides making the videos look much better, this also makes it possible to position the ONE in-line with a monopod or selfie stick to make the monopod disappear, creating the illusion of an invisible flying camera. In the real world, I found that the stabilization works quite well. Videos are stabilized automatically and immediately when you review them and when you export videos. It even works for live streaming. However, one issue is that after a couple of minutes, the stabilization will drift horizontally. (For comparison, there is also drifting with the Xiaomi Mijia Mi Sphere but not with the Garmin Virb 360.) [Drifting has now been fixed.] The stabilization effect can be toggled on or off, and for longer videos, you may need to turn it off to avoid the drifting. 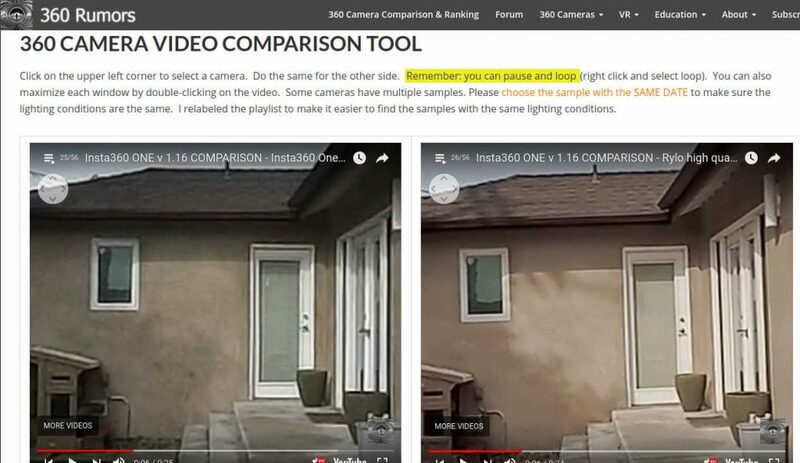 Freecapture has several benefits: first, it helps you visualize the video better. 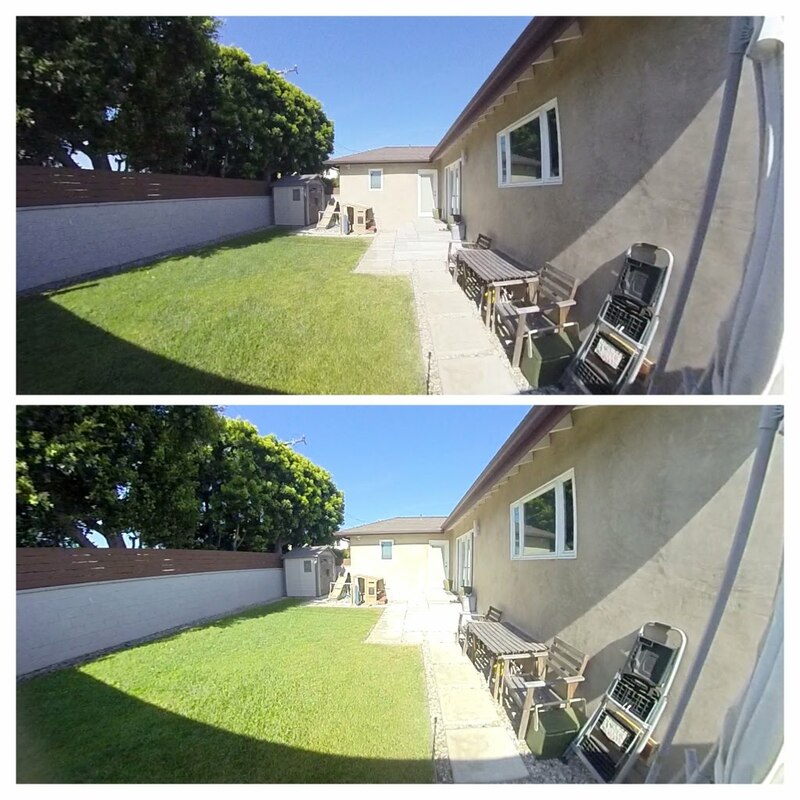 Second, because the resulting video was shot ‘handheld,’ then it looks more natural compared to a non-360 video from another software that uses mouse movements or keyframing. Third, this is a more natural and familiar way of shooting for first-time users. Fourth, FreeCapture shortens your workflow because you don’t have to stitch the 360 video beforehand. You can simply go from the unstitched INSV file directly to a Freecapture non-360 video. Tip: consider using a swivel chair to make your FreeCapture movies look smoother. 4. Smart Track – follow a subject around the 360 video. Smart Track is an additional feature that works with FreeCapture. When enabled, you can place a box over your subject or other target in the 360 video. When you press ‘record,’ the app will generate a non-360 video with the subject being followed. Tip: the tracking rectangle need not be placed in the middle. It can for example be positioned on the left third, or right third. I found that Smart Track is reasonably accurate for tracking a subject. However, if the subject makes a sudden unexpected movement, Smart Track will lose tracking over the subject. 5. Bullet Time. This lets you swing the ONE around you while recording a high-speed video. This is arguably the effect that made the ONE famous thanks to an ad campaign that showed its capabilities. It lets you shoot in high speed 120fps (240fps interpolated), and because the ONE has stabilization, you won’t need to use a Centriphone or other stabilizer for the ONE. At the same time, unlike the normal stabilization mode that is locked toward a particular compass direction, the stabilization for Bullet Time keeps the view oriented toward the user. In the real world, Bullet Time does work pretty much as advertised. Insta360 even provides you with an accessory string that attaches to the tripod hole of the ONE. My concern with this feature is that you would need to bring around the string accessory, and you’ll need a lot of space to use it safely. I prefer my bullet time method which uses a swivel mount together with a selfie stick because it’s easier to bring and somewhat safer (insofar as you can swing the camera at lower speed, and it won’t drop even when it slows down). 6. Manual exposure for photos and videos. Insta360 ONE is one of the very few 360 cameras that have total exposure control — manual exposure, ISO priority, shutter priority, with shutter speeds as slow as 60 seconds and as high as 1/4000. 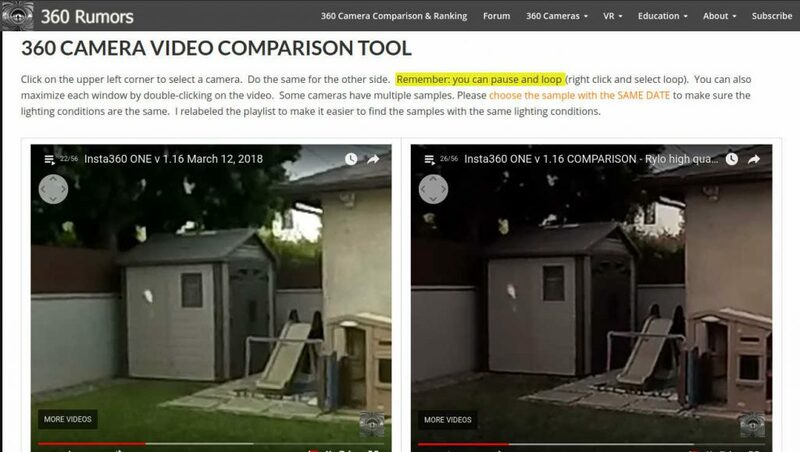 Moreover, there is manual control even for videos — a rare feature among consumer 360 cameras. 7. Excellent live streaming capabilities. Insta360 ONE is an excellent camera for live streaming. First, it has a direct connection to the phone for greater speed and reliability. Second, your phone can use Wi-Fi for live streaming, instead of using it to connect to the camera (as in the case of the Garmin Virb 360 for example). Third, the ONE’s live stream is stabilized. This makes the video look better but more importantly, it also conserves bandwidth. Fourth, the ONE has the option to live stream in tiny planet mode (FreeCast), a unique feature that AFAIK is found only in Insta360 cameras thus far. 8. In-camera editing features (see below under Workflow). 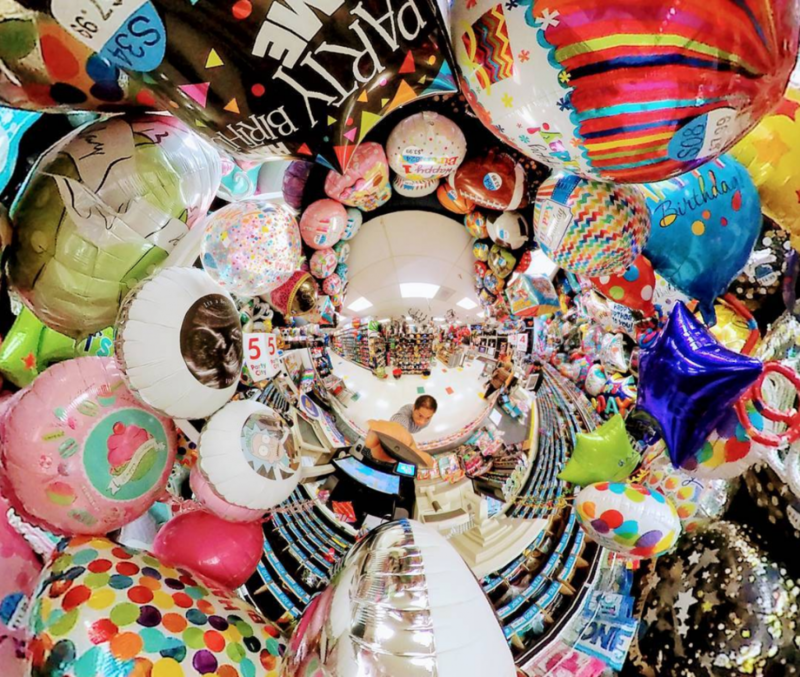 The Insta360 ONE app has many editing options such as making tiny planet versions of your photo or video, or adding stickers. 9. Bluetooth remote accessory. Insta360 ONE has a dedicated remote accessory (sold with a selfie stick as a kit). What is unique about the accessory is that after you pair the Bluetooth remote once, they will automatically pair simply by turning them on. This means you just turn on the Insta360 ONE, turn on the Bluetooth remote, and within a few seconds, the Bluetooth remote will be able to control the ONE, without the need to press any buttons, go through the app, or use any menus. The accessory can trigger the shutter for photos and videos, but not the special triple-click function. For more info, see How to Use Insta360 ONE. For this demo, the Insta360 ONE was attached to a harness on a dog running in a park! The demo was inspired by a similar video posted by Rylo, which has become an overnight sensation for its class-leading image stabilization. The new stabilization demo seems to show that the ONE’s stabilization will be similar to and at least on par with Rylo’s stabilization performance. Insta360 ONE had pretty good stabilization but now has phenomenal stabilization, approximately equal to that of the best-in-class stabilization in the Rylo. As the teaser video showed, it is even capable of stabilizing a video shot from a camera mounted on a dog running at full speed. 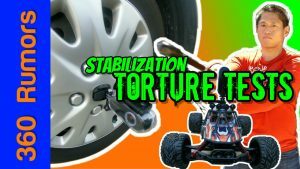 As promised, I ran some stabilization tests to see just how effective Flowstate is. BTW, here are some of the tools I used for the tests! The Insta360 One had almost the same stabilization performance as Rylo and Fusion, except that with rapid side-to-side movement, the Insta360 One showed a little more roll than Rylo and Fusion’s full stabilization mode, although it had less roll than Fusion’s anti-shake mode. On April 22, Insta360 released an update to Insta360 Studio to add support for FlowState stabilization (for both Windows and Mac versions), allowing users to stitch and export Flowstate-stabilized video using a desktop-based workflow. 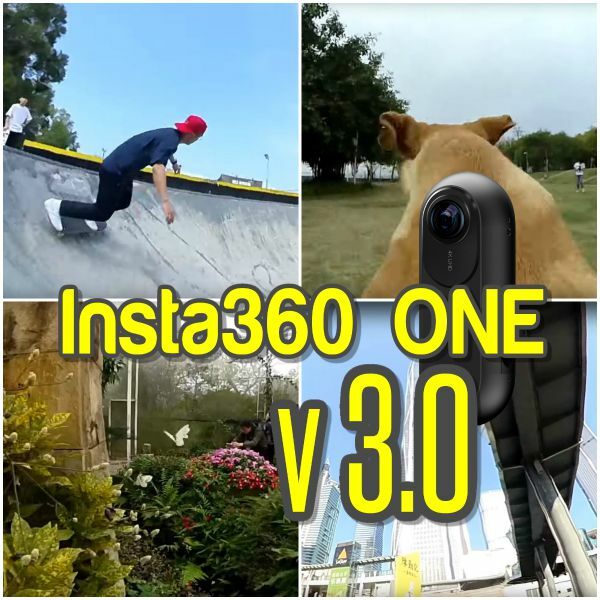 Insta360 app version 3.3 added several improvements, such as basic post processing for the video (e.g. change the exposure, color temperature, highlights, shadows, etc.) but the biggest improvement in my opinion is the new Direction Hold or follow mode stabilization. Until now, videos are stabilized in one compass direction. That means that regardless of how the subject moves, the video faces the same direction. This often works well and makes the video appear very stable. However, sometimes it is not ideal. For example, if you put the Insta360 One in a car facing the windshield, and the car turns, now the camera will be facing the window. The Insta360 One is one of only three cameras that have this ability at the moment — the others being the Garmin Virb 360 and the GoPro Fusion. (Rylo permanently has forward stabilization but not the full stabilization mode). With this capability, I’ve increased the Insta360 One’s stabilization rating to 8.8. 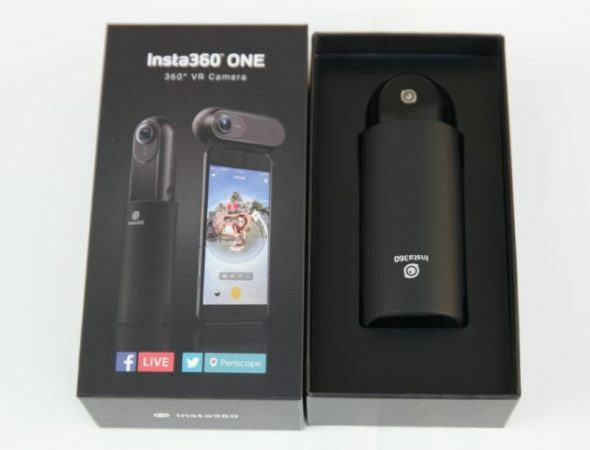 Insta360 ONE now has multiview, which was first featured on Insta360 Nano S. With MultiView, you can shoot a 360 video and present it as a non-360 video with an overlay showing a second point of view at the same time. This feature is useful for showing reactions for example. Unlike the Nano S, the MultiView in the ONE can only show up to two points of view whereas the Nano S can show up to three views. Multiview is also usable in live streaming mode (FreeCast). To use it, tap on the subject, and hold for a couple of seconds. In the popup overlay, select Smart Track. The app will then begin to track your chosen subject. Pivot Point is essentially keyframing, with a more intuitive interface. You simply frame the view that you want, press and hold the screen, and select Pivot Point to establish a keyframe. You can keyframe not just horizontal movements but vertical movements as well (such as ‘looking up’). View Finder is Insta360’s term for a FreeCapture mode where the user controls the FreeCapture perspective by moving the phone like a camera. Compared to Pivot Point, View Finder results in a more organic and natural camera movement. A further benefit of View Finder is that it is stabilized, unlike for example GoPro Fusion’s OverCapture where moving the phone will capture even the camera shake from holding the phone. Insta360 ONE’s FreeCapture mode now includes a hyperlapse of up to 8X speed. The user can switch at will between 1X, 2X, 4X or 8X speed, instead of using the same speed for the entire video. The new firmware improved image quality by making images appear brighter, and improving shadow detail without significant decrease in highlight detail. Here is a sample with the new firmware, showing improved detail in the shadows. At the same time, the clouds still have plenty of detail. See also a “real world” sample from the Insta360 ONE below under samples. See also my updated comparison with the Rylo. To get the update, you need to update both the firmware (v 2.0 or above) and the new app (v 3.0.0). In addition, you have to use the new app for stitching photos and videos (you can’t just use Insta360 Studio). The updated app is available only for iOS for now, but will be coming to Android as well. Insta360’s representative did not provide an ETA for the Android update. I’m working on a video to show the new features. I’ll post the video here as soon as possible. 1. As a standalone 360 camera. The Insta360 ONE has only one button but it can be used to take a photo, video, or start the intervalometer or other shots. To take a photo, you press the button once. To take a video, you double-click the button. To stop recording, press the button again. To activate the special function, you triple-click the button. By default, the special function is the self-timer photo mode, but it can also be changed to the Bullet Time mode, or Interval Shooting mode in the app Settings. 2. Standalone 360 camera controlled wirelessly with your phone. The Insta360 ONE can be controlled wirelessly with your phone via Bluetooth. Simply turn on the ONE, launch the app, and click on the camera icon. In the shooting screen, tap on the Bluetooth icon to the left of the shutter. Select your camera on the next screen and tap Confirm. Once connected, your phone has all the shooting modes and exposure controls available. 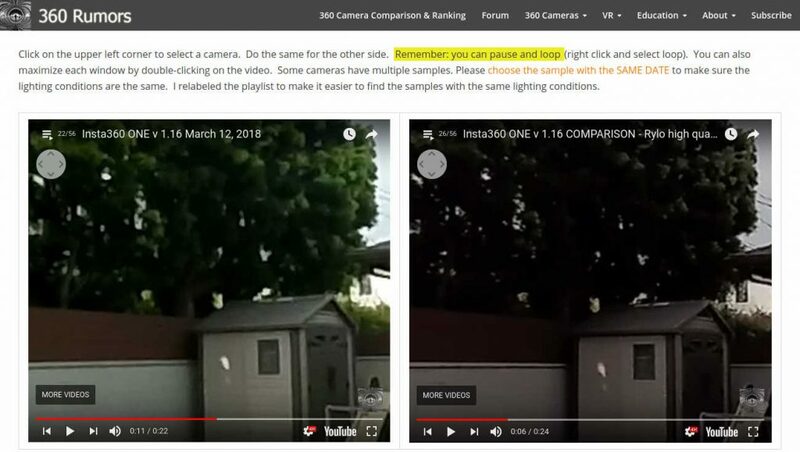 There is no live preview, but if you take a photo, it will send a low-res equirectangular preview to give you a rough idea of what you captured. As I mentioned in the video, the remote is out of stock as of January 4, 2018. However, I found a 3rd party remote that does work (almost all other remotes don’t work). Here is another one (remote only, no selfie stick) that looks the same so it might also work but I haven’t tried it. 4. 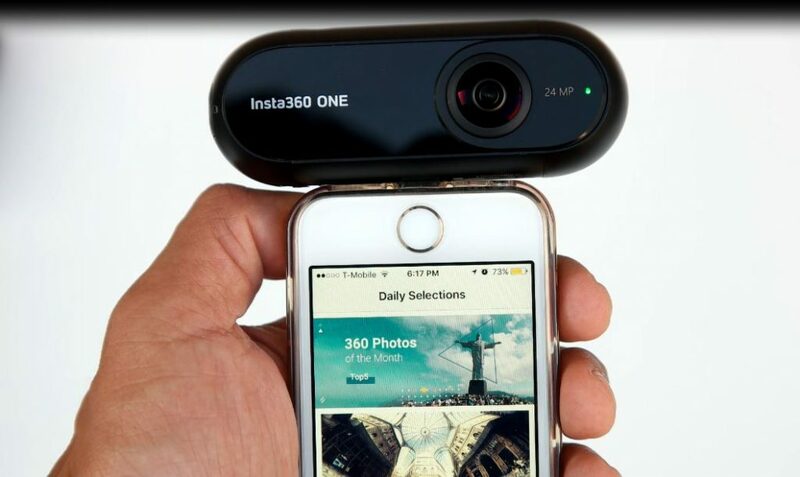 360 camera attached to your smartphone. The ONE can be attached to your phone. The advantage of this method is that it allows a live preview. As with the wireless smartphone control mode, you have all the shooting options and settings available for this mode, in addition to live preview. 5. Smartphone 360 camera triggered wirelessly via generic Bluetooth remote. When the ONE is attached to a smartphone, it can be triggered wirelessly with a generic Bluetooth remote. I believe workflow is a very important consideration for a 360 camera, and can sometimes be even more important than image quality. If the workflow is horrible, then you are not likely to use the camera despite other features it may have. Fortunately, the Insta360 ONE’s workflow is pretty easy and is similar to the workflow for the Insta360 Nano. Photos and videos captured on the ONE are stored in its memory card as INSP (photo) or INSV (video) files. The files are unstitched but when viewed in the Insta360 apps, they will look fully stitched during review. To share a photo or video, you must export it from the Insta360 ONE smartphone app or Insta360 Studio desktop software. If you use the app, viewing a photo automatically downloads a copy of the photo from the memory card to the app, visible even after the ONE is disconnected. However, for videos, the app won’t automatically keep a copy. When you tap on a photo or a video, you will have several editing options such as applying a beautifying filter (to smoothen wrinkles) or Instagram-style filters. You can also place stickers that will be automatically warped to appear proportional wherever you put them in the photo or video. The edits are nondestructive and fully reversible, so don’t be afraid to experiment. You can also change the perspective (e.g. to tiny planet, etc.) and take a snapshot of your creation. Tip: try flipping your phone to landscape view to change the composition. After editing the photos or videos, tap on the Share icon. You can choose your preferred social media such as Facebook or YouTube, or you can choose album to export to your camera roll (from which you can upload the photo or video to your preferred sharing platform). 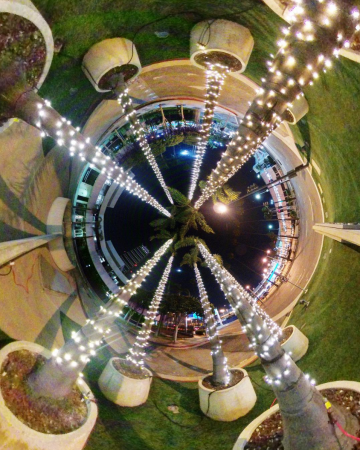 If you choose Facebook or YouTube, you’ll also have the option of converting the photo or video to a tiny planet, and there are tiny planet animation presets with interesting transitions. 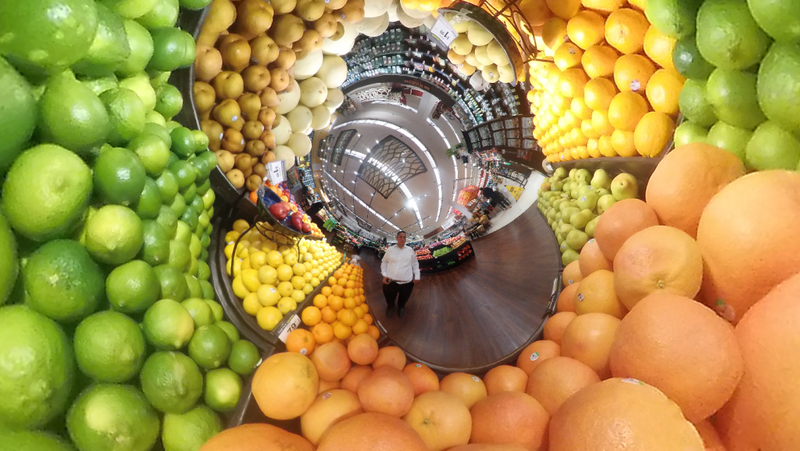 Here are some sample 360 photos (based on the 1.14 firmware). They are unedited to give you an accurate representation of what you would get straight out of the camera. However, please note that one of the strengths of the Insta360 ONE is that you can shoot and stitch in Raw DNG format, which gives you more latitude for exposure, white balance, and other adjustments compared to JPEG. Here is a folder of a sample photo and sample video, both stitched and stitched. Here is a sample video montage (based on the 1.14 firmware) in a variety of lighting conditions. The Insta360 ONE compares well with other 360 consumer cameras. I compared it with the new firmware against several 360 cameras but I want to focus in particular on the Rylo, because that’s one of the cameras with which it is frequently compared. Here are 100% crop comparisons between the Insta360 ONE v 1.16.8 and Rylo high quality mode, using the Ultimate 360 Camera Comparison Tool. First let’s compare the midtones, then highlights, then shadows, and finally their overall image quality. In this 100% crop from both the Insta360 ONE and Rylo in identical ambient lighting conditions, we can see that the Rylo seems to look a slightly more detailed in well-lit areas, such as the bush to the right of the shed. On the other hand, in darker areas such as the door to the shed, or even the siding of the shed, the Insta360 ONE has more detail. For this reason, I would say that overall, they have similar levels of detail in the midtones (note further that these are 100% crops, much more magnified compared to normal viewing sizes). This implies that the new firmware’s more aggressive exposure did lead to some loss in highlight detail, but if you want to dial down the exposure with the new firware, you can probably end up with more highlight detail than the Rylo. But this doesn’t mean it’s always better to use a more conservative exposure like that of the previous Insta360 ONE firmware or of the Rylo. As you’ll see below, that approach has significant tradeoffs. This is what I meant by the tradeoff with a more conservative exposure. For me, I favor the new firmware’s exposure that prioritizes midtones. I think it is a better approach for small sensors, which don’t have much exposure latitude. Using a conservative exposure, only to raise midtones in post, will result in more noise. And with clipped blacks like the Rylo’s, some details can actually be irrecoverable. Overall, taking the detail and dynamic range in the midtones, highlights and shadows into account, I would say the Insta360 ONE has greater overall dynamic range, and moreover, has better exposure control. Not only can you control exposure compensation, but in video mode, you can specify the ISO and shutter speed. This means that you can use a more conservative exposure on the Insta360 ONE if you wanted to e.g. by applying a -0.3 or -0.5EV adjustment. On the Rylo, there are no exposure controls, therefore you’re stuck with its conservative exposure and high contrast tone curve that clips blacks very early. Overall, the Insta360 ONE has very good photo and video quality. Although I find its 360 photos just a bit less detailed than Xiaomi toward the edges of the lens, it has one of the best dynamic range for a 360 camera in its class, and is unique in having the ability to shoot and stitch in Raw DNG format. For video quality, it is on par with the Theta V and Xiaomi, and better than the Virb 360 or Rylo. It has very good performance in low light as well. It also has better stabilization than all other 360 cameras other than the Rylo (the Insta360 ONE and Rylo seem to have similarly superb stabilization — I’m going to compare their stabilization and post the results here). Insta360 posted a firmware update for Insta360 One in May 2018. Insta360 One firmware 2.2 revises the exposure algorithm to avoid overexposure. The previous March 2018 update (2.0) used a very aggressive exposure algorithm. On one hand, it ensured that there was adequate detail in the shadows. On the other hand, highlights were often blown, and the photos and videos appeared overexposed. You can see that in the patio, the highlights are preserved in 2.2, whereas they are blown in 2.0. The May 2018 update is therefore a very welcome improvement. The May 2018 update also updated the app’s interface, and made a few other improvements, such as retaining the exposure settings in interval capture mode. Here are a list of the Insta360 ONE’s strengths and weaknesses with respect to photo, video, and usability, including a score for each category. Use the score to see its current ranking on the 360 Camera Ranking chart. Please do not simply add the plusses and minuses — rather, you should review the list of strengths and weaknesses to determine how well the ONE fares in that aspect, because some strengths may be very important to you while some weaknesses might not be. – In low light, LED light sources can lead to horizontal lines. + Follow mode stabilization option (“Direction Hold” in version 3.3) is very useful for vehicles and motorsports. – When there is rapid side to side movement, there is slightly more rolling compared to Rylo and GoPro Fusion. Insta360 ONE is available on Amazon (Link #1 or Link #2) or from GearBest (March 20, 2018: use the code 360RumorsOne to get a special price of $269). Incredible that this camera suffers from the same horizontal drifting problem when gyro is on. Do you think this can be solved with a firmware update? Also I wonder if the horrible softness near the stitching area is an app problem. Have you tried to stitch an INSTA360 ONE photo with other software? @Michael TY the tutorial is comprehensive and resourceful as always. Now I still opts more for camera A as I have seen so many fine photos with it whereas B just started and may be everyone is still playing with the gimmicks. Your linked post pointed out that B has drifting after longer video recording. A has it too and the users said to turn gyro off. My Theta experience (sweet and shallow in pixel) is start and shoot, Theta apps will right it up. So camera A could not do it and B cannot for long? Although I seldom take 360 video (difficult to share and store), I would appreciate a zero effort flow. I can accept a low DR video as long as it is clear reasonably, but hardly if I need to fiddle long hours on desktop. If camera A can also meet the take video and stitch upright easy, I certainly will buy it as camera B cists 100 USD more and photo quality not remarkably win over A. I still have 1 month to decide as I am trying to replace dead battery of Theta and the delivery of Li-50b battery and testing takes time. Wish that breathtaking photos by B could hit us to draw a fairer comparison. do you think it is possible to be able to do a live preview on wireless mode later? Maybe on the later update? Hi Reyner! The specifications don’t say that it has Wi-Fi so I believe it is not possible, unless you connect it to a phone and then use a second phone to connect to it. Nope, you just have BT connectivity, which is very limiting. You have no live preview and you can’t donwload photos or videos to your mobile unless you phisically plug the camera in . Also remote functions are handled by BT, which means the range is very limited. I find this is this camera’s main weak point. Freecapture might be useful. But I’m wondering about the resolution of the resulting video. I can’t believe it will be anywhere near as good as a regular 1080 camera. Do you have some samples? Bullet time seems gimmicky. But I think it’s generated a lot of sales from people who might not normally consider a 360 camera. The poor tripod mount that you describe may have these cameras being flung all over the place during bullet time use. Too bad about the “mediocre” battery life. Adobe DNG raw is a plus especially for more advanced users. Hi Bill. Thanks for your question. I’ve updated the article to include a sample of a FreeCapture video. But to answer your question, it won’t be as good as a regular 1080p camera I think. It’s more a matter of convenience and flexibility in composition. Hi Ramon! I think 360 cameras will definitely be more common in the future, although I don’t think they will be more common than non-360. We’ll see! Hi Mic! Thanks again for a very deep and accurate review (as usual)!!!!! I wonder if you have tested the Flat/Log option for real – I mean shot with the cam in Log mode and then color corrected the video? Because I can see traces of “oversharpening” in the logfiles they’ve uploaded to YouTube (looks like if you throw a “normal” video into a editor and just change gamma, sharpness and brightness…that can also, of course, be caused by YouTube when uploading the video) I think it will be a big thing and a “press the buy-button” for me if it really shoot videos in true flat mode. do not pick the GPS info from the Phone and write it to the image file ? Hi Svend, that’s one of the issues. I think the photo quality is also quite good but not as good as Xiaomi. There are other issues which I listed in the strengths and weaknesses. What does mediocre battery life mean in concrete terms? Hi Douglas. I will try to do a battery run-down test to find out. But so far, after I take some videos, I can see the battery level is reduced noticeably. I just received mine today and first thing off the bat, the SD cards I have (Lexar, Samsung, and Sandisk) doesn’t work!! What cards are you using Mike? Somewhere I read that the cards for the ONE need to be formatted in a PC in a specific format. exFAT I believe. Thanks Bill and Mike, just tried it and now working like a charm! You are doing and excellent job, keep it up, thank you for your efforts. Had the camera for about 3 weeks now. Image quality is very good, but has some severe limitations. 1. lack of WiFi connectivity. This means tha if you wnat to place the camera somewhere and trigger shooting with you mobile you can rely only on bluetooth, which has a very limited range. I started having “weak bt signal” messages at 2 meters distance and no obstacles beetween me and the camera. Losing contact with your camera also means that you won’t be able to abjust manual controls like ISO or exposure. 2. lack of preview. BT-only connectivity is too slow to provide image preview, not even lo-res. So if you need to have a preview f what you’re shooting forget it. 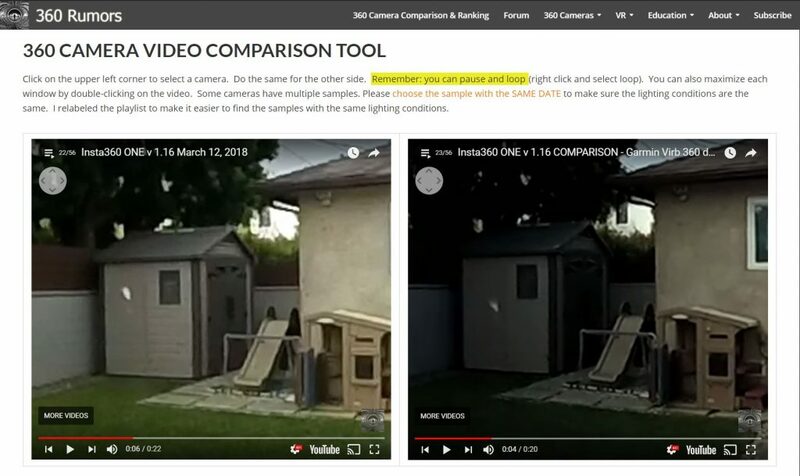 And you can’t even download the videos to your phone unless you plug it in through the lightning connector: this is a rela bummer because it also means you have to remove the camera from your tripod. 3. app upside down. App is designed to work with the camera plugged in; this means the bottom part of your iPhone becomes the top part. This is ok when you have the camera plugged in, but not ok when you’re using the app as a remote for your camera. The guys at Insta should flip the interface when the app used as a remote without the camera plugged in. 4. standalone controls. You can only set controls for when the camera is used in standalone mode (shooting delay, raw shooting, etc. ) if the camera is plugged into you phone. 5. raw shooting. The camera can take raw stills and video in log formats. Unfortunately Insta Studio can’t process these files and the company gives no advice on how you could process these files… Not that useful so far….. I just bought it and planned to replace my LG360. A little bit disappointed after using it for a day. The image quality is superior, but there are few points that disappointed me. 2. No GPS info can integrated on the photo if not physically connect to the phone when taking the photo. Hope insta360 could keep update and improve it make it better. hi Stanley. Congrats on getting the Insta360 ONE. 1. Re live view, connect the phone to the camera to get live view. 2. GPS info – true, it has to be attached to the phone. 3. yes this is a good point. Just Received my Android version of the 360 one. Thus far it’s a 300 dollar paperweight. There’s nothing more annoying than getting a brand new product and having to do a firmware update before you can do anything else. Firm ware update done, I have put the Insta one into it’s Android Adaptor and it’s fits fine but god knows what kind of pin they have going from the adapter to the phone. It ovalish and maybe a bit larger than an android pin but it certainly wont fit into my phone or the other 2 I tried. I am guess that I can plug my android cord from the computer to the Insta One and pull down the photos as a work around but my goal was to pull these panoramic photos directly into my VR Maker software on the phone. Frankly as is, I’d be more likely to purchase another brand unless the adapter is fixed. Thank for yor the education. A couple of months back I signed up for a service VR Maker. They send me a free 720 degree add on lens and a Rotator. I was so happy until I found out my phone didn’t have a gyroscope. I went out an purchased a new LG X Charge and fired up the VR Maker. After about 4 or photos the VR Software will lock up. I added DMD Panorma do my phone and it works great. I really wanted to get away from shooting 6 or 7 photos to have a 360 so I waited and waited and waited for the Insta 360 One with the Android adapter. First off, I can’t say I’m thrilled to have a flimsy plastic adapter that can easily get lost while the Apple people simple plug it in. Second, I paid more for my Android version. Feeling a little disappointed from photo one. All that said it is my intent to use it remotely so the adapter isn’t that big a deal but getting the photos onto my phone should not become a 3 step process. I again am willing to buy yet another phone (no I don’t want an I phone) but when I go looking for phones with USB they are still few and far between. I went on the Cricket site and the only one they have is a Galaxy S6. Seriously if I had wanted to add a 600 dollar phone to the mix I would have just skipped all this and bought the Theta. I think at this point to call the micro an old style connector might be a little overkill. I would suspect that despite all the tech stories saying it’s coming it’s coming that it’s still not really here. I will be surprised if Insta360 makes two versions and if so shouldn’t they have put the on the website. It was a slow boat from China, I can’t believe this is going to have a happy ending. Thanks for listening. Just a little FYI, I have written Insta 360 twice at the email listed in their brochure and they have yet to read either email. Service after the sale is weak. Anyone have another email for them? 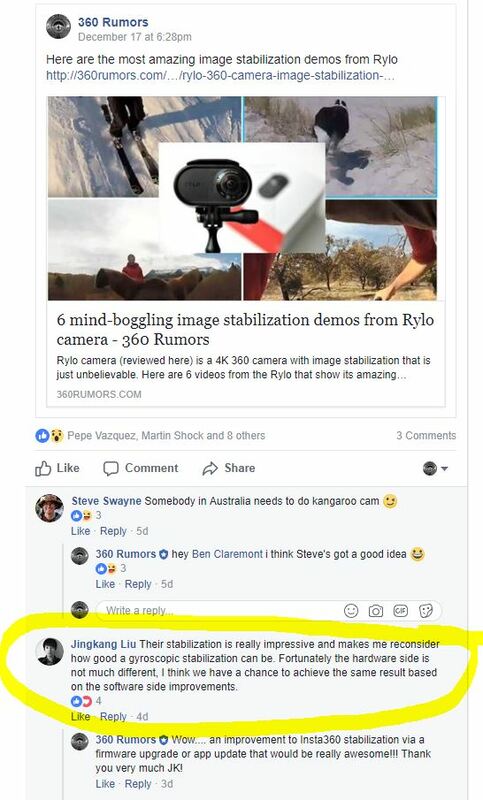 I’ve noticed the Insta360 support team seems to respond faster on the Insta360 ONE Facebook page, I suggest trying you contact them that way. The user group is also quite active with constructive user support. Right now my work around it to plug the One into a usb micro plug and then plug it into my laptop and import the photos into their editor. I then export the photos as jpg, take them into my photo editor, after than I pull them into my Istaging software and make a VR Tour. Here is one I just made for a real estate agent in my office. One of them is the same as yours in video, from Amazon. Do have an idea? Yes the same, but I had to order it from amazon.de, amazon.us doesn‘t deliever to germany. Perhaps insta360 offer its own, then I will order this. I´ve found at home one of the Camera360 remotes, exactly alike what you´ve linked, which works con iOS but not on the Insta360 app. I don´t get why did they choose to have propietary remotes..
Do you know when the stabilization update will be available? U mentioned: “Second, your phone can use Wi-Fi for live streaming, instead of using it to connect to the camera (as in the case of the Garmin Virb 360 for example).” So how do we do that? Thanks for ur reply but I m interested in learning to us Wi-Fi for live streaming as u mentioned? Is the image stabilization only for video? I need it for photo’s as I mount my 360 cameras on my helmet or car roof and shoot Google Street View photos. Hi Michael. Stabilization is for both photo and video, although for photo it is usually not perfect. You can use hugin or theta converter to make it perfectly level. A quick question; where can I buy a tripod suitable for the Insta360 One? I believe the base is quite narrow so it remains invisible. Thank you so much for your useful reviews and advices. 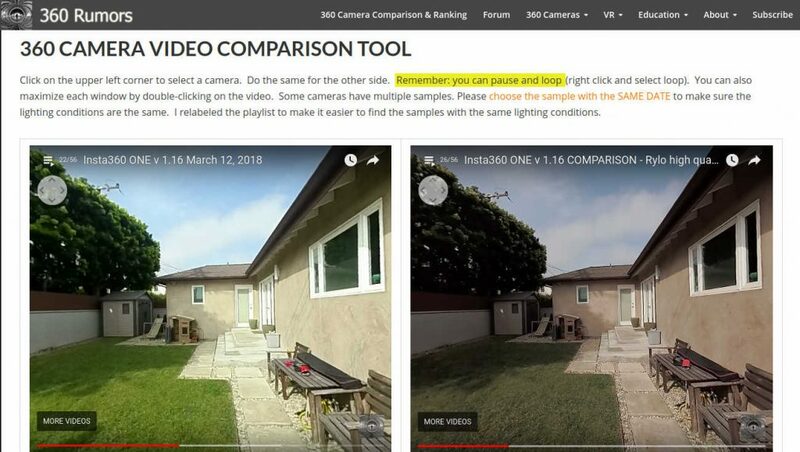 your website is great and one of the best for 360 video! I just bought an Insta360-One, made firmware and app updates and I am a bit disapointed using it with Windows or Android (without adapter). Freecapture is missing, options are very limited. Did I made a mistake buying the Insta too early? Hi Eric. Congrats on getting Insta360 ONE! My Android app (version 1.3.0) has freecapture (it’s the running man logo). Pls. see my Insta360 One video review and tutorial to see how to use it. https://www.youtube.com/watch?v=DN5YWVmrERE&t=774s Thank you very much! In case you want to update the article, I bought the other untested Bluetooth remote you linked, tried it, and it definitely did NOT work with the Insta360 One. (Worth the $5 to test) I’ve now ordered the other one that includes a selfie stick. thanks Jeff! I really appreciate your sharing that info. I’ll specify in the article that the other untested one doesn’t work. So after updating last firmware you can’t stitch photo or video if you have an Android phone? There is no more stitching workflow through desktop app? In that case, I think ETA for Android update should be a priority. Hi Pablo. If you update the firmware you can still stitch on Android or desktop, but it won’t have FlowState stabilization. Just regular stabilization. This is what they told me, but I haven’t tried it yet. I’ll test later. Thank you very much, Mic. It seems like Android update has finally arrived. Thanks Pablo. The update from yesterday is only a minor update. It is not the big update for Android. The new app will mention FlowState. After the firmware update, would you recommend the Insta360 One over the GoPo Fusion? I have the Fusion but am struggling with the Fusion Studio 1.1, I cannot render any of the videos on my laptop while I am on holiday, which I find frustrating. It is an i7, 16GB RAM with 51GB SSD. The Insta360 looks way easier to edit, especially with the firmware update. Can you edit in the same way (freecapture, flowstate stabilization, multiview, etc.) with the Fusion Studio? I don’t have Adobe Premiere either which is a pain. Hi Shailesh! Your laptop seems ok except that it doesnt have a dedicated graphics card. Can you try shorter clips with the Fusion, and also render as h264 4k instead of 5.2k. You could also try turning off d warp. If none of those suggestions work then i guess you cant really use fusion. You could try yi 360 vr which has better image quality than insta360 one but is very slow to stitch. Or you could try insta360 one which has less image quality but has many features. Pls note the march 2018 update is only on ios for now. No eta yet for android. Managed to render on my home PC, not the laptop. The clips look good and I have had to render them in H.264 to import them into Insta360 Studio (the others come out in mov and I couldn’t import them). I’ve managed to key frame one video, put some transitions in, preview it and it looks good, but when I try to export, I get a 0Kb file. I’ve tried lots of different settings, lowering the bitrate, exporting to different drive from the source clip, tested the hardware rendering and everything seems fine. Any idea why I am getting a 0kb file? The clip is less than a minute long, I can’t see why it wouldn’t export. Just tested the preview mode and the screen just flashes with green bits and does not preview, so I think this is the issue. My CPU is i7-5820K @ 3.30GHz, 32GB RAM, NVMe Samsung MZVPV512 Hard drive, Nvidia GTX 1060 3GB graphics card. I’ll see if their support can help me. Does the app gps tag the exif in the images? Hi Marke! The Insta360 ONE doesn’t appear to have gps tags whether or not it is connected to a smartphone. I can suggest to insta360 to add this feature. Thank you for the very informative review and tutorial. I checked the link on the blue tooth remote that you used on your video, but the link is no longer available. I was wondering if you can share the brand/model that you have or perhaps provide an updated link where it can be purchased. Also, do you have recommendations on the water proof case? Have you used one? I was checking image quality. In image 6 and 8 half part is extremely good and sharp whereas half part is blurry, not sharp or noisy. For example in image 6 the area of bar is clear sharp but image on your side where light was low, image is clearly very less sharp and heavily denoised or effect which happens when we remove noise from low light images. You can also observe it in image 8. Is it just me or you also noticed it? Two cameras are using same ISO exposure settings or each camera has different settings according to luminosity levels of scenes? Hi imme! That is a very good observation! True, in those images, one lens is clearer than the other. It is not optics because in the other images, both lenses are just as clear. I will submit this issue to Insta360! Thank you very much! 🙂 Your reviews are amazing and I was about to go for my first 360 video cam but observed this issue. Is there any way we can see exif for each camera? I feel your side was darker and raised ISO values on camera facing you to balance out things….maybe..
Can we shoot with manual settings like focus, exposure, iso etc? Hi, i’m french photographer, shooting 360° with my RSLD camera and a panoramic head but i’de like to bought a mini 360° camera for “everyday life”. But as a “pro”, i’m looking to conserve a good quality on picture. My first choise is the Gropro Fusion, but the prise let me down, so my second choice was th Misphere but i saw that’s the insta 360 was able to shoot raw files. I’m lookin to get a sample a a raw file but i didn’t found it. Could you tell me was sort of RAW is ? Is it 2 circular image or a stitched equirectangular ? i’ve got verry good softwares for stitching so get 2 circular files is not a problem. Salut, Jerome! Yes Insta360 One can shoot AND stitch in raw. When you shoot in raw, it is actually JPEG + Raw. You get both the INSP file (which converts to JPG) and the raw file in DNG. Straight out of the camera, the DNG file is double fisheye, but if you import it into Insta360 Studio (the desktop app), Studio can stitch the DNG into an equirectangular DNG file. So you can choose either double fisheye or equirectangular. Hi Mic, thank you so much for the in depth review. Your original Insta360 video is what convinced me to buy this camera. While I’ve been really happy with its performance so far, there are a few things I’m struggling with which Insta360 support have not been helpful with at all, and I was really hoping you could help me out. In your original video, exporting video to facebook, etc. gave you the option to make the video a ‘tiny planet’ video under a tab labeled ‘animations’. In my version of the Insta360 ONE iPhone app (3.0.1), I cannot find this feature anywhere! When exporting, then going to the ‘360 Video’ tab, you are able to pinch the video all the way out until it becomes a tiny planet, but when you export, it just stays as a normal 360 video, without the tiny planet feature. I want to be able to create a flat tiny planet video from within my iPhone, that I can then share instantly to Instagram, etc. Have you found where this feature is located? If so, would you mind helping me out? I’d really appreciate it. Your reviews and help on the Insta360 have been indispensable to me! Thanks Max! The option to create an animation is still available for 360 photos (not 360 videos). If you share to Facebook, you can see there is an option to share as multivew, 360 photo, or animation. If you choose animation and you share it, it will appear in your camera roll or gallery. If you only want the animation and don’t want to actually share it, choose “only me”. I have a question is that, is it possible to take pictures while taking videos? if not how would i proceed to do this? I guess the remote is very handy if i do use the selfie stick? Hi TonyK! Congrats on getting the full bundle! You can’t take photos while taking videos, but when you are viewing a video, you can take frame grabs. The remote is not absolutely necessary, but yes it is very handy! btw you said u use an OTG extender for the adapter for your S8+ how does that setup work? Hi Tony! Congrats on getting the One! When I use an OTG extender, it feels “wobbly”. I’ve also tried using just the adapter that’s included with the phone to connect it to an OTG cable (if you just want to download, etc.). Can the Apple version connect directly with an Android version via Bluetooth? I have Sony XZ Premium and it sees nought. Also, can it be used independently in horizontal mode? Hi Tony! My worry with using it with a USB C extender without removing your shell case is that the camera might get knocked off. But it should work as long as it is an OTG extender. I was able to use an OTG usb cable to connect the One to my Android phone (S8+). I realised that when i take a photo independantly without attaching the insta360one to the phone, it takes better quality photos (sharper) than when I take them with the insta360one plugged into my android phone (the pictures are more pixelated). is this true? is there a difference in quality used independently via bluetooth VS connecting it to out phones? Hi Issa! i haven’t noticed such a difference but i will test. Hi mic! You are doing a great job in this web! I want to buy the Insta 360 One for making long live streamings with and android phone but I have a doubt about the battery life of the camera and the phone. You know if is there any way to externally power both? The Insta 360 One can be powered by the USB port, there is no problem, but the phone can’t be powered through the USB port because is used by the adapter to connect the camera, right? So, is there any way to power the phone? Any type of micro usb hub or double adapter? The battery of the phine could last a few hours and I plan to make long live streamings… Any idea please?! Thanks!! Hi Silviu! At one point there was an option to stream at 4k then it disappeared. Let me pin this down. For now I removed the streaming resolution from the table. Thanks for the detailed review! I was wondering if you have tried the Android app? Some people reported that they get frequent disconnects when connected through Bluetooth on Android, and they are not able to fully transfer photos/videos. Are you aware of this problem? Is there a workaround to get the photos/videos onto the phone so that the App can be used for editing photos/videos? For example by first transferring the photos/videos to a PC, then transferring to the phone? Hi Jackie. I don’t understand why people are complaining about the Android app. I’ve been using it on my Samsung S8+ (SMG955U) with no problems at all… I’m really puzzled. Hi Mic, is there any reason why I can’t get the full range of sharing options? I only get community, YouTube, streetview, and album. I don’t get Facebook, for example. I don’t want to post to FB, but some of the editing tricks you cover show how to do it as if you’re going to export to FB. Do I need to be logged in to Insta360 or something to access all the sharing options? Do I need an FB account? Secondly, in my iOS app there’s no sharing icon with 3 dots, I just have the rectangle with an arrow pointing upper right. I can’t seem to get what you had in your September 2017 tutorial video…any help would be appreciated. Mic, thank you for the outstanding review. This is the most helpful review I’ve seen on any product (not just the Insta360 One). I’m a professional speaker and considering purchasing the Insta360 One to capture video when I’m on stage. If I put it about 15-20 feet from the stage, will I be able to zoom in and still have a decent resolution? I’d like to capture audience shots as well as shots of me on stage. If you use the Insta360 One it won’t be as detailed, and its low light performance is not as good as that of the Fusion. The other thing is that I would place the camera no farther than about 10 feet from you (in fact, it would be better to have it more like 5 feet away). Hi Mic! With the latest update on the Insta360, would you still recommend the Mi Sphere over the Insta360 if picture quality and dynamic range is a priority consideration factor? Thanks! Thanks for all the Insta360 One information. However, please clarify the “interval shooting” / intervalometer function. 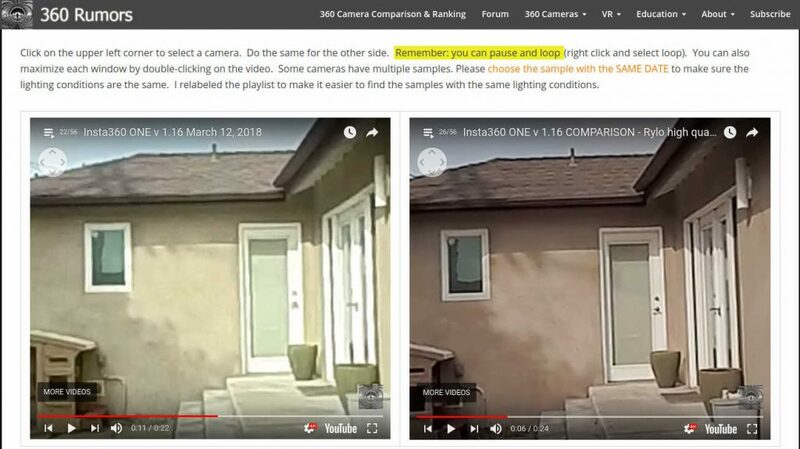 This is not addressed in any Insta360 tutorials or reviews, whether about the One or older models. Questions: 1) do the desktop or phone apps allow one to stitch the photos into a timelapse video, and are the edit functions comparable to those available in other modes? 2) can it work with extended shutter speeds (say, 15-20 seconds) to create night timelapse of skies? 3) Can the resolution be above 4k and remain compatible with the apps and player? 4) Can the camera operate while connected to a USB power bank, so that either a timelapse or interval shooting session can last over an hour? Does the noise reduction associated with extended shutter times roughly double the time used per shot? There appears to be no hyperlapse function, per se. Is this achieved simply by moving the camera while in time-lapse or interval shooting mode? Or do people simply speed up video shot in normal real-time mode? Curiously, the Insta360 tutorial instructs the users to keep the camera still while in timelapse mode. I took the gamble, ordered an Insta360 One, and cannot get the App to run on my Android. The App defaults to IOS mode, even if downloaded to an Android, which makes zero sense. It prompts and Android user to switch to Android mode. However, the “Switch to Android / IOS mode” toggle in the “Settings” section does nothing. Thus, there is no way to calibrate or operate the camera properly. I have gotten no reply from the company’s technical support email address. If any Android user has found a workaround, or somehow got the App to switch to Android, I’d welcome any comments. Otherwise, I’ll have to ship the device back to China. Are you using the Android adapter from Insta360? That’s the only way you can access the app’s camera relatred functions. Try connecting through Bluetooth, then change it to Android mode. I believe I was able to change some of the camera’s settings that way. Replies appreciated. Unfortunately, I remain unable to run the Insta360 One camera control app on my Android 7 Lenovo / Motorola Moto G5 Plus phone, whether by the micro USB connection or by Bluetooth (with or without the phone connected by micro USB to the camera). If I go to the phone’s system control menu and turn on Bluetooth, it finds the “Insta360 ONERDA3MT” signal, but fails to pair, and a window appears that says: “Could not pair. Please make sure the Insta360 ONERDA3MT is in pairing mode and try again.” The same happens again and again. In other words, the phone and camera will not pair, regardless whether I try through the app or the phone’s own system controls. Is there a way to fix this? Or is there a way to switch to Android mode without using Bluetooth? Why not through the USB connection or a software patch? When powered-on, must it always default to IOS mode? Another challenge: after installing the firmware patch, no computer will recognize the camera as an external USB device, when connected by the cable. I believe others have observed this problem. Without a fix, the only way to transfer files is by extracting the SD card and inserting it in a PC. The problem may also impede installation of future firmware updates. Worse, I worry the problem means the camera’s micro-USB port can no longer “talk” to the phone app either. Of course, this I cannot know if I cannot get it to run in Android mode. Could you advise which USB configuration mode you selected when connecting the ONE via USB Cable / OTG for the App to work? I am unable to get this going. Hi! I connected a Micro USB to OTG cable from the Insta360 One’s micro usb port to a USB A to USB C adapter (which was included with my s8 phone). Then i plugged the USB A to USB C adapter to my phone. I didn’t have to change configurations. You can also buy the adapter instead for your phone. Literally the worst camera I’ve ever purchased. Out of all the fancy features above? None of them work….like at all. non existent. All I can do is press the shutter button on my phone and I dont even get a live preview before hand. tested on 3 phones and 2 laptops one being a brand new gaming lap top. Terrible, zero android/customer support. I was wondering if you can record video while charging the camera battery? Hi, im still considering this cam, do you have a Sample file out from camera that I can download to try and look at the quality? Does the android app allows you to edit and share photos/video in my social media? hi Khloe. Sorry i dont have a huawei. all i can suggest is to make sure your adapter is OTG. you can also call insta360 support. they are very responsive. It looks like Insta360 has restricted download of their LUT to Pro users only. Mic my name’s Olivier Pulinx. I’m a french guy passionate about new technologies. I recently discovered your YouTube channel not long after I bought an Oculus Go. It’s been a while that I wanted to shoot 360 photos/videos. I used an iOS app called Bubbli (http://bubb.li) to create 360 photo bubbles with my iPhones. In the last 3 weeks I’ve seen many of your comprehensive and interesting videos. I’m ready to equip myself for 360° shooting. So I’ve a question regarding équipements. I’m thinking about buying an Insta360 One but I would like to know if they are about to launch new product or upgrad the One ? I know they’ve released a great firmware/software update late spring but I can’t find info on their hardware projects. On October 10 they will launch a new camera. So you should wait before buying the Insta360 One. I’m trying to find out if the Insta360 One is compatible with Huawei P20 lite, wich has kirin 659. I really like all ur content, very usefull info. thanks Igor! i’ll upload a sample unstitched dng so you can try it. Hey Mic, A friend sent me a DNG from the ONE X. I was expecting an equirectangular, but it is two hemispheres. How do I convert to equirectangular? I have not encountered this so far. Hi Steve. you need to process the DNG file in the insta360 studio for one x (you can download it from insta360.com). Insta360 studio can preview and stitch dng. Thanks Mic, I got it to work with the app specific to X. I am impressed with how the image looks zoomed in, far better than my Theta S.
Thanks for this very helpful and in-depth review. You always go all the way. In the event you’re keeping this information current, I wanted to mention that there is no need to format your Micro SD card via computer. The App has been updated and comes with this ability. Also, although the battery is internal, I attach a mini battery pack and can keep my camera recording continuously for 2 and a half hours. A removeable battery seems like a very small issue with battery banks. Using a 90 degree charging cable head also helps keep the cable out of view. I used this set-up on my ski helmet and was able to record practically the entire ski day. I wonder if you could mention downloading issues. I own an iphone X, and the App states it must compress the file, which does take additional time. I think a major fault of the camera design is the location of the charging port. It,s on the same side as the lightning connector, so it’s impossible to keep the camera or the phone charged to insure there’s enough juice to download larger files. Hey there JusGibs! Thank you very much! Yes I agree they should have put the charging port on the other side. I’ll mention the downloading issue. Thanks again! I’m using 360 one now, but there is no brightness adjustment for 360 photo. Any suggestion? Hi Alfred. In the shooting settings you can use exposure compensation to brighten (+) or darken (-) the image.